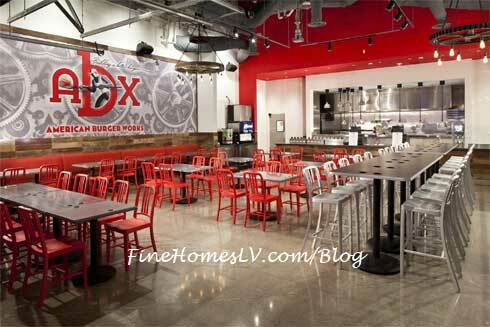 American Burger Works (ABX) will bring a new twist to the classic burger and fries combo to the Excalibur Hotel & Casino on the Las Vegas Strip. ABX’s juicy burgers and authentic, crispy Belgium French fries will be served with a delicious complement: 15 flavorful dipping sauces. Some innovative favorites include bacon-mustard, cheddar cheese, chili-cilantro sour cream and Jack Daniel’s ketchup. Hot and spicy aficionados will love the horseradish cocktail sauce and spicy Sriracha ketchup. The sauces transform classic items with sophisticated flavors that will keep guests coming back for more. The classic American burgers are made with all-natural, hormone-free quality beef. The milkshakes will feature the original Blue Bell ice cream flavors vanilla, chocolate and strawberry, with the option to have the best candy mix-ins including Reese’s Peanut Butter Cups, Oreo Cookies and Heath Bars. Other menu selections include turkey burgers, veggie burgers and grilled cheese sandwiches. For all the early-morning risers, ABX offers signature breakfast items including a breakfast burrito made with eggs, potatoes, tomatoes, caramelized onions, cheese and bacon, and a smoke house sandwich made with jalapeno-cheddar sausage, a fried egg and cheese served on a biscuit. Because burgers are great at any time of the day, the menu includes a breakfast burger served with a fried egg, tomato and cheese. The design evokes funky American East Coast culture with an industrial vibe featuring chandeliers that are made from mechanical gears and antique filament bulbs. America was born during the Industrial Revolution and ABX celebrates that era through its interior, complete with an entryway made from garage-style doors. American Burger Works Las Vegas restaurant will be open daily for breakfast, lunch and dinner starting at 9 a.m. For more information about ABX, guests may call 702.597.7817.